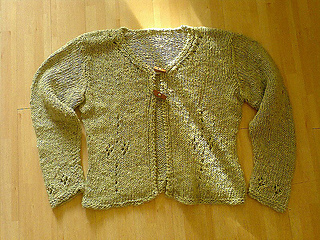 DROPS Cardigan in Cotton-Viscose and Safran. 200-250-250-300 g. col. no. 26, grey green. 300-350-350-400 g. col. no. 12, teal. DROPS Pearl buttons nr 522: 3 st. The pattern also has a sleeveless top and a shawl included.